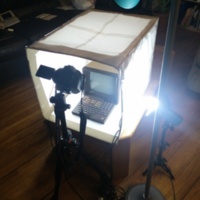 Most of the macro photography in the archive was created using this DIY lightbox. 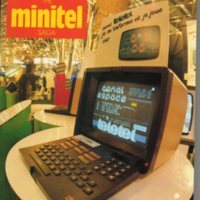 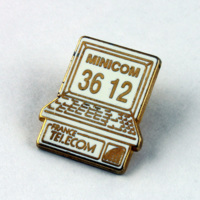 "I'm connected on Minitel, how about you? 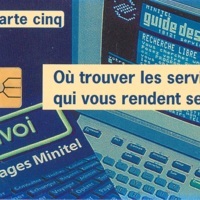 No... Well then go pick one up at your local France Telecom branch"
A set of 2 cards (50 and 120 units) advertising the Minitel 2 terminal. 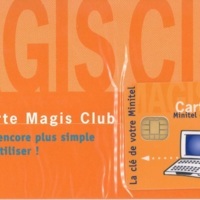 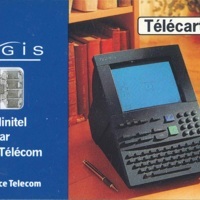 An ad for the Magis terminal, which included a bank card and access-control card reader. 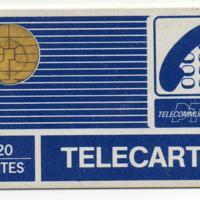 See also the access-control cards in our holdings. 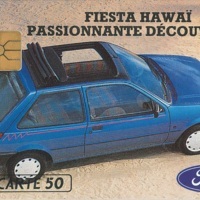 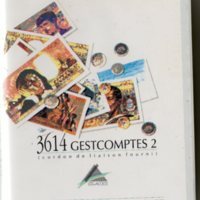 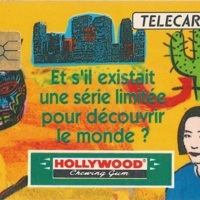 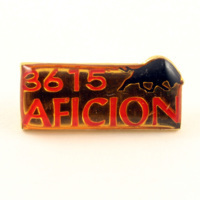 Don't be mistaken, this card for 3615 Hollywood did not advertise the City of Angels or a movie reservation system, but a famous french brand of chewing gums. 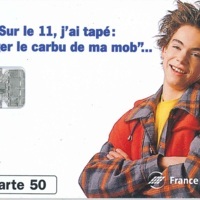 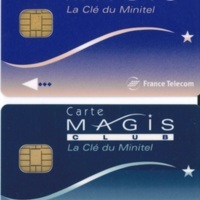 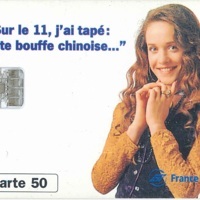 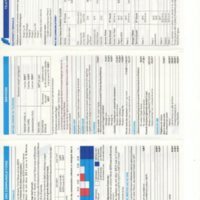 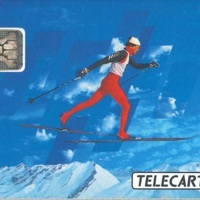 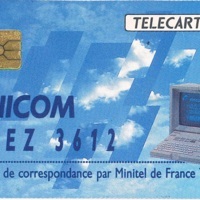 This series of cards advertised France Telecom's customer service number, 3614 France Telecom. 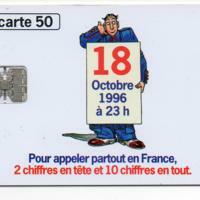 Note that one of our two holdings never got the smart chip embedded in the card and presents an unusual hole. 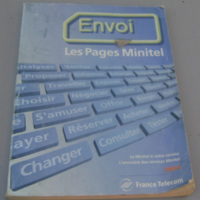 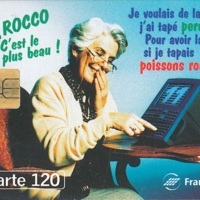 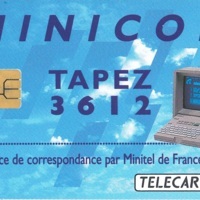 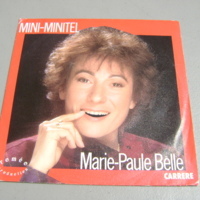 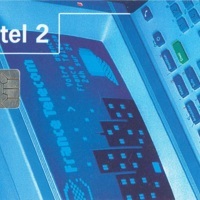 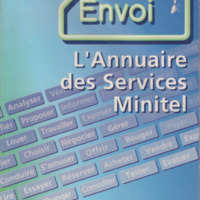 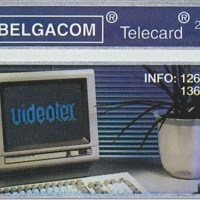 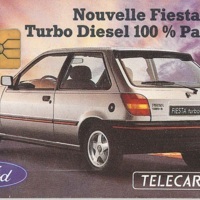 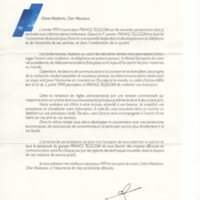 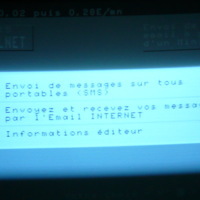 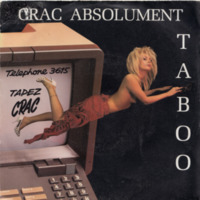 This card advertised France Telecom's own service, 3612 Minicom, a Minitel-to-Minitel email system. 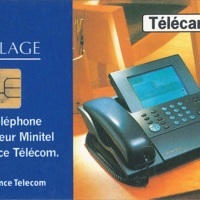 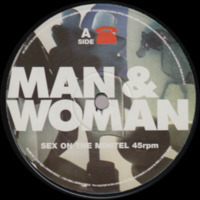 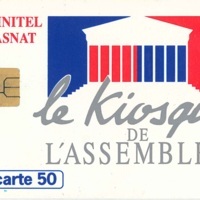 This 50-unit card advertised Sillage, a device which combines a phone and answering machine with a Minitel terminal. 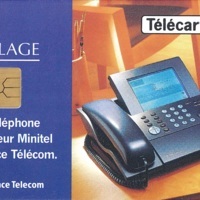 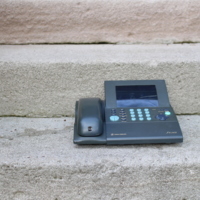 This 120-unit card advertised Sillage, a device which combines a phone and answering machine with a Minitel terminal. 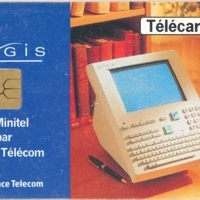 This set of 3 cards only contained 5 phone units. 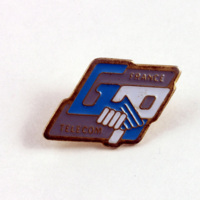 This indicates that they were produced not for being sold, but as collectors items which France Telecom gifted to various dignitaries. 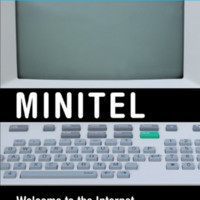 Special Agent Dale Cooper likes to hang out around Minitels being hacked. 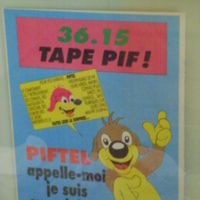 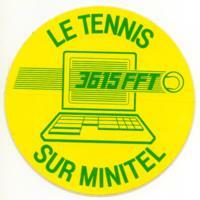 This is a promotional sticker for 3615 FFT, a service run by the French tennis federation. 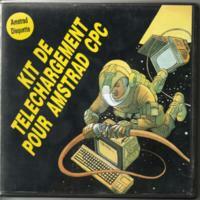 This is a "download kit" for owners of the Amstrad CPC home computer, published in 1988 by AZURSOFT. 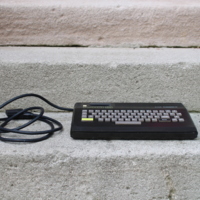 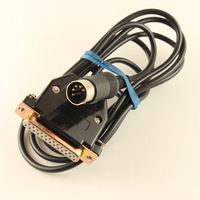 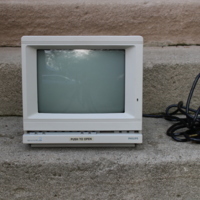 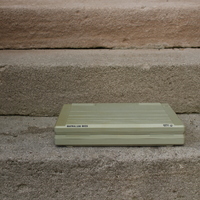 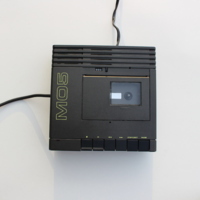 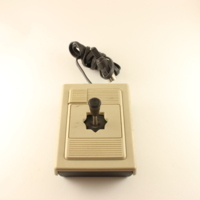 The kit includes a diskette with terminal and file-transfer software as well as a serial cable for connecting the Amstrad PC and Minitel terminal. 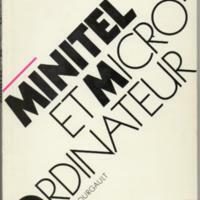 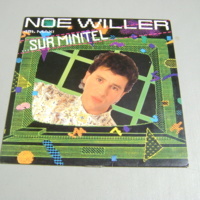 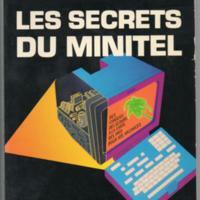 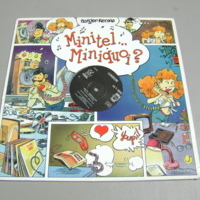 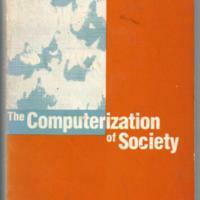 A: ...Sur Minitel 5.12 (N. Willer/ N. Willer-M. Devaux) D.R. 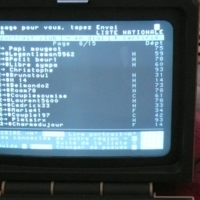 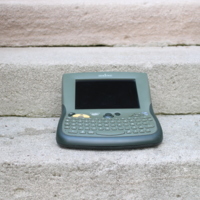 B: Hollywood* 3.45 (N. Willer) D. R.
This slick-looking mini-Minitel features a tiny screen and a phone combo. 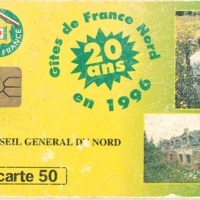 Built in 1995. 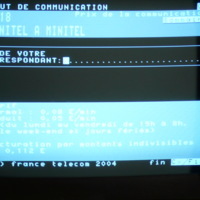 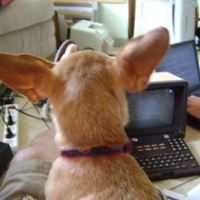 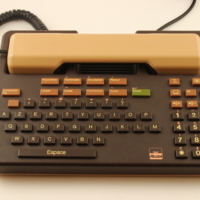 Most Minitel terminals were single units where the keyboard was attached to the screen. 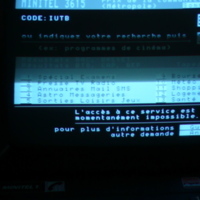 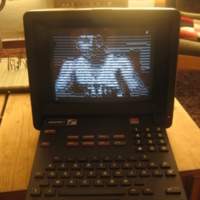 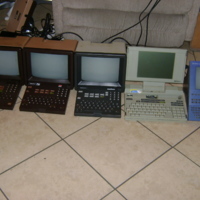 Minitel 12 terminals departed from this tradition. 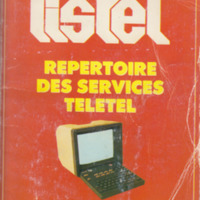 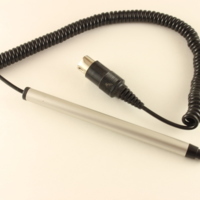 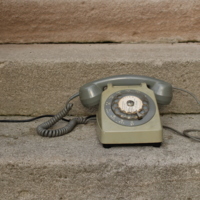 The handset rested atop the keyboard and connected through a wire to a separate CRT unit. 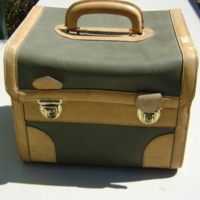 Found this beauty at the W6TRW Amateur Radio Club Swap Meet on the Nothrop Grumman parking lot in El Segundo, CA. 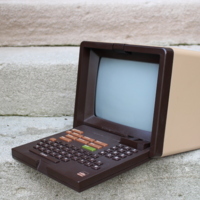 Not Minitel related, but so nice we couldn't pass on it. 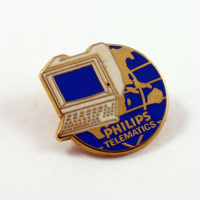 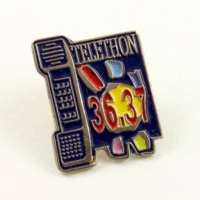 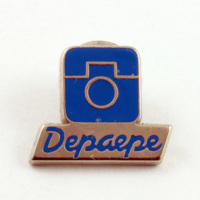 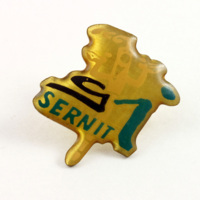 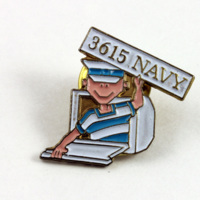 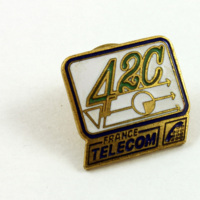 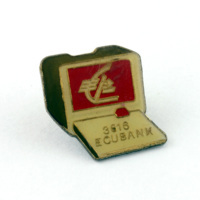 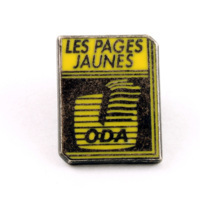 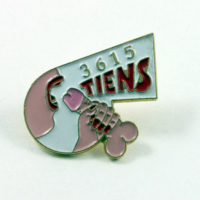 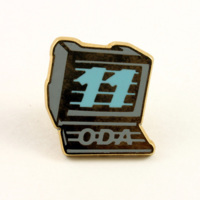 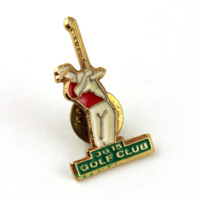 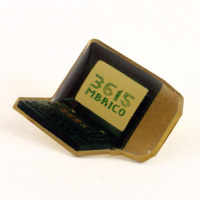 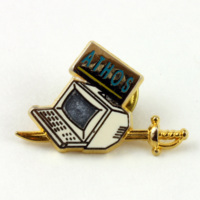 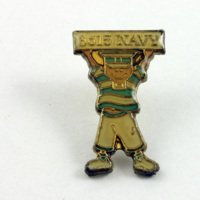 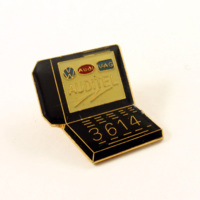 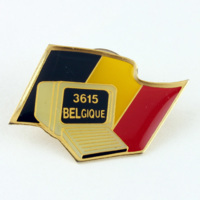 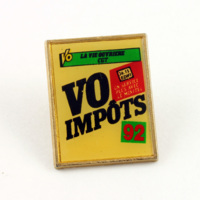 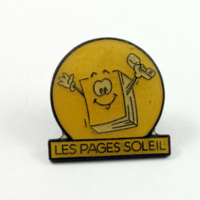 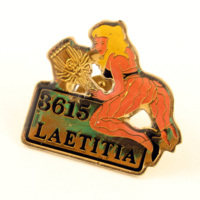 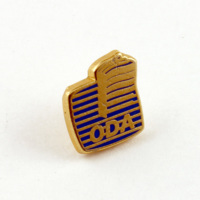 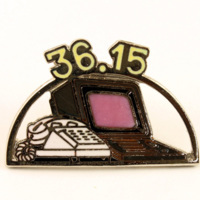 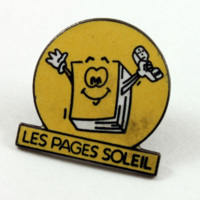 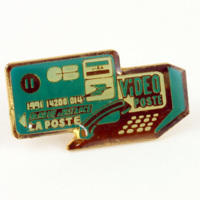 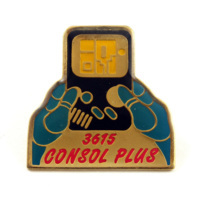 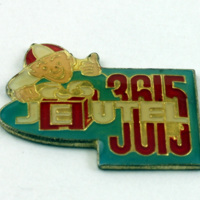 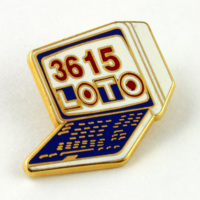 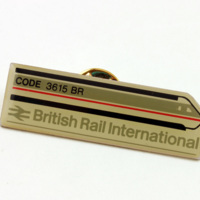 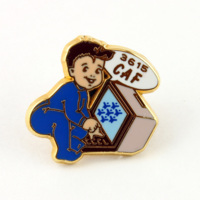 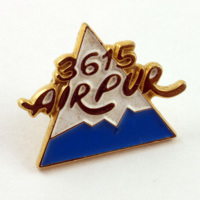 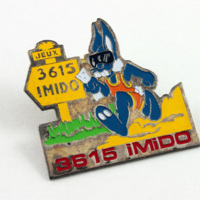 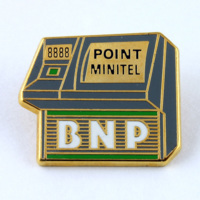 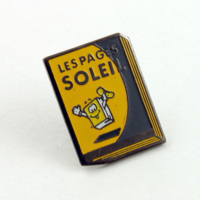 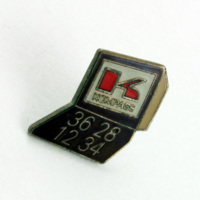 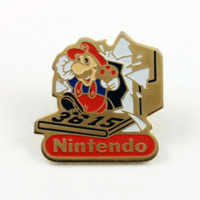 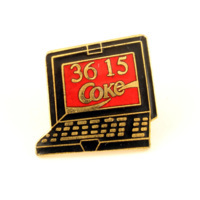 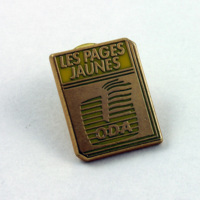 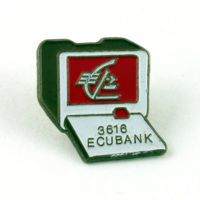 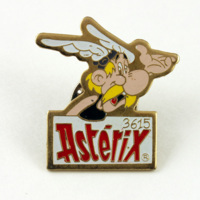 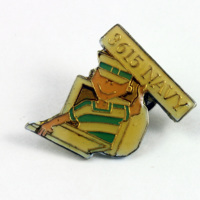 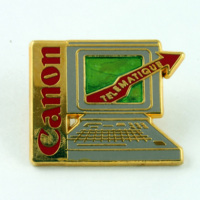 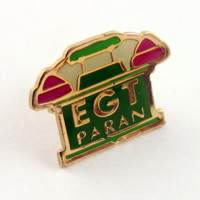 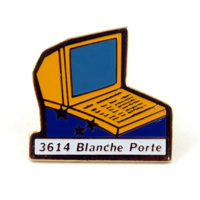 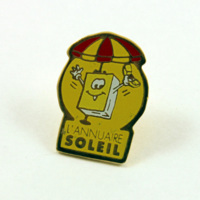 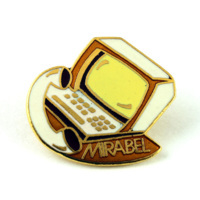 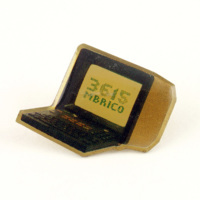 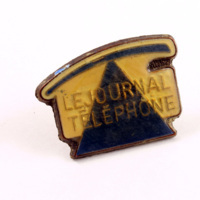 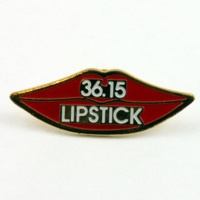 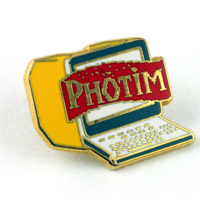 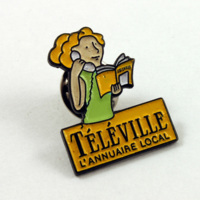 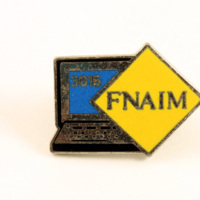 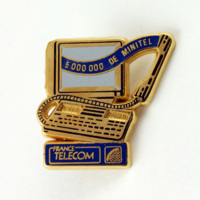 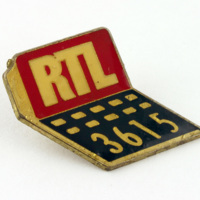 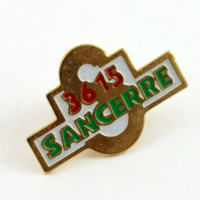 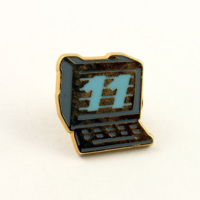 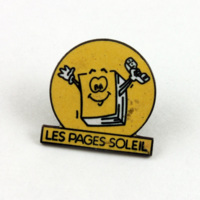 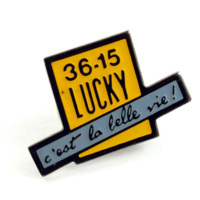 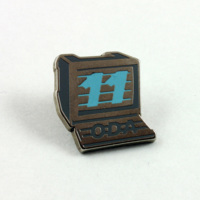 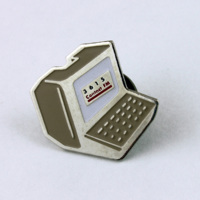 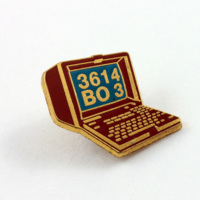 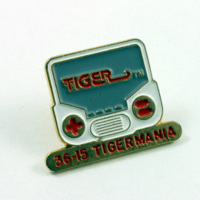 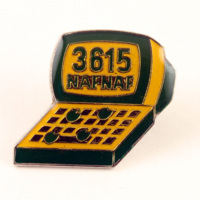 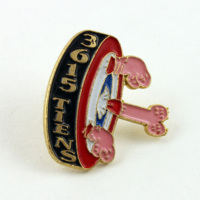 This pin was produced by France Telecom to celebrate the production of the 5,000,000th Minitel terminal. 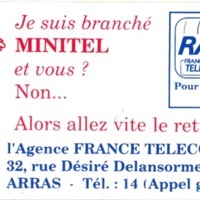 An ad for the Minitel site of Naf Naf, a clothing company. 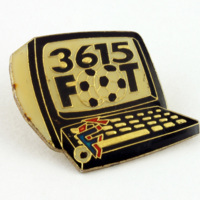 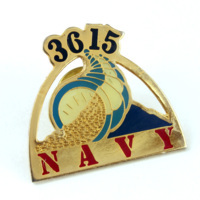 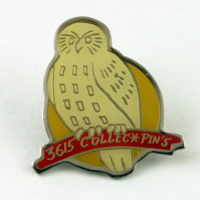 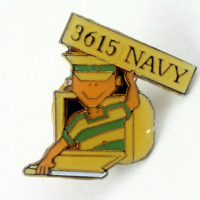 This pin celebrates the 3615 network and bears an appropriate pink color. 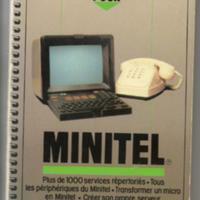 Not all Minitel was pink. 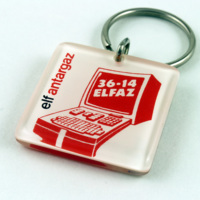 The keychain below advertises the site of a butane-propane distributor. 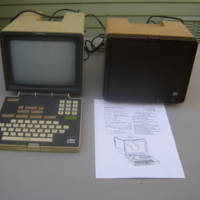 This Minitel 2 terminal was manufactured by Philips for the US market. 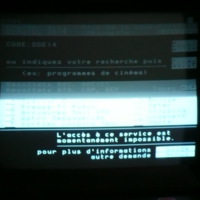 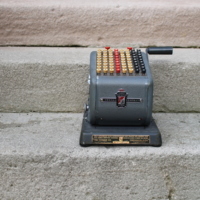 Thermal printer connects to the serial port on a standard Minitel. 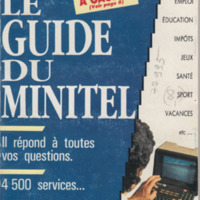 Note that the industrial design of the printer is meant to match the typical coloring of the Minitel 1 and 1B terminals. 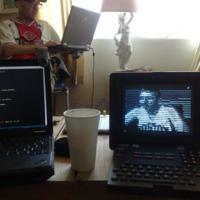 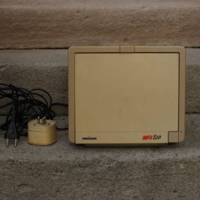 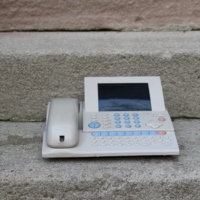 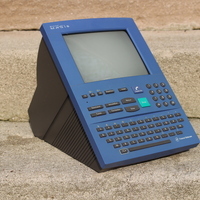 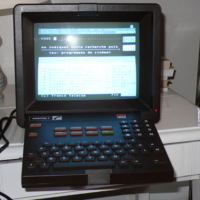 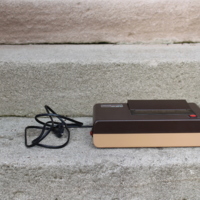 This Minitel 5 terminal by Matracom was designed for portability. 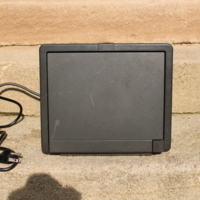 It features a monochrome LCD on a hinge. 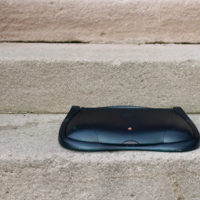 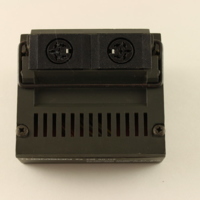 The ports on the rear of the device include a second telephone jack for use with a carphone. 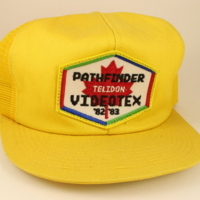 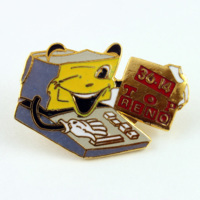 The "Pathfinder" patch on this yellow hat refers to trial of Canada's Telidon videotex system that ran from 1982-1983 in the province of Saskatchewan.